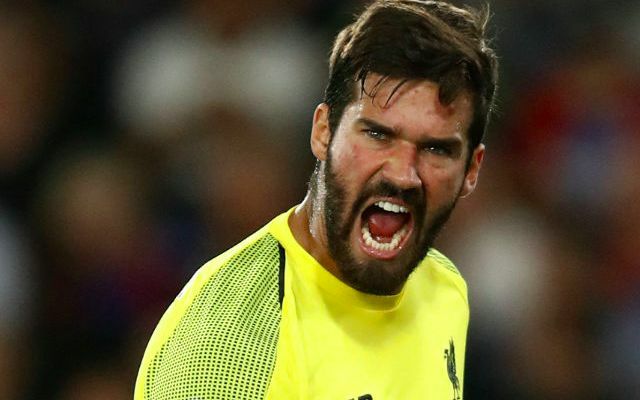 Alisson treated Reds to an exhibition of his masterful distribution in Monday night’s 2-0 win over Crystal Palace. The Brazilian completed 21 of his 23 passes to showcase the passing talent that was promised upon his arrival at the club for a then world record goalkeeper fee. Besides injecting a tranquility to Liverpool’s calculating ball retention at he back, he also flaunted his range with a string of cross-field balls in supply of his forwards. An all-action exhibition included a perfectly-weighted pass into the path of Robert Firmino on the edge of Palace’s penalty area to kick-start an attack. This was followed by a composed pass with his weaker foot from just ahead his byline to the chest of Firmino, just seconds after a Palace corner had been swung into his box. It wasn’t just a night for his passing ability, with the 25-year-old also displaying athleticism and firm hands to keep out Luka Milivojević’s free-kick and a low header from Christian Benteke. He looked prepared to compete in the air for the ball, comfortable receiving passes whilst under pressure and an inspired addition in Liverpool’s bid to transition from defence to attack in a matter of seconds. Already he has injected an sense of cohesion and reassurance.